Need more evidence that the rules are broken and badly lop-sided against workers? Aviation services company Aerocare put its latest sub-standard agreement offer to a vote this week that was neither secret or transparent – it was conducted on the company’s internal online system and employees were sent a message back confirming how they had voted!!! The agreement, among other shoddy features, will leave some workers at least $8.50 per hour worse off. Enough is well and truly enough. The TWU WILL be supporting Aerocare workers by challenging this agreement. 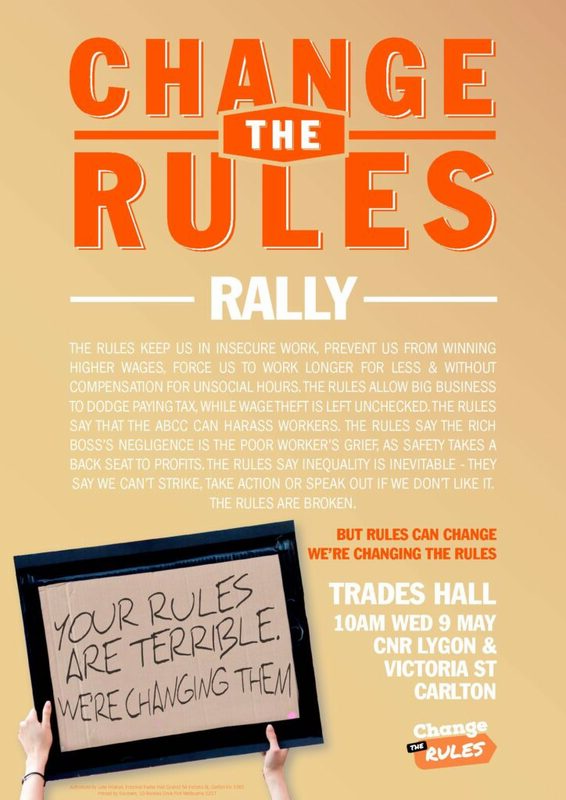 In the meantime, TWU (VIC/TAS Branch) Secretary John Berger said all workers can become agents of change by getting to the Change The Rules Rally on 9 May at Trades Hall. Join the hundreds of TWU members among the thousands. A TWU analysis has found that Aerocare offering some workers up to a minimum of $8.50 per hour worse off will result in millions of dollars in wage theft each year. “Aerocare staff deserve better than this shoddy agreement. Over $680 million changed hands over the sale of Aerocare to Swissport this year and yet the company seeks to rob from among the lowest paid airport workers. 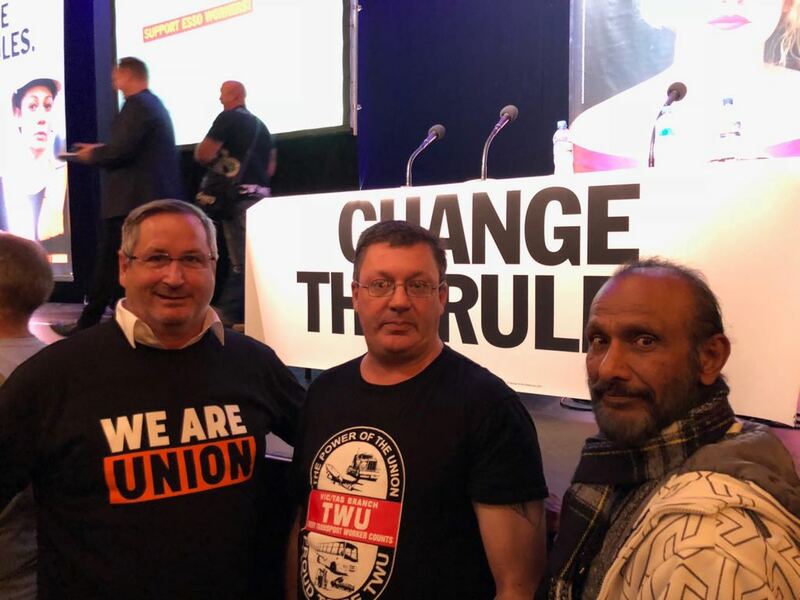 Aerocare is trying to game the system and wealthy airports and airlines are reaping the benefits of this wage theft,” said TWU National Secretary Tony Sheldon. The Fair Work Commission rejected a 2017 Aerocare agreement last August, because of its low rates, split shifts and because casual employees were excluded from voting. “Aerocare’s business model is about keeping its staff intimidated and desperate for hours at work. But this model does not just affect staff, it is impacting on safety and security at our airports,” Tony said.